Make bath time fun with the Multi Sensory Bubble Bath from Mustela. Infused with natural Cornflower Extract and mild surfactants, the foaming formula gently cleanses, hydrates and softens delicate skin, whilst creating a tub full of bubbles for your little one to splash around in. Its unique foam, color and fragrance stimulate the senses to promote well-being. Pour a small quantity into bath water. Rinse carefully. 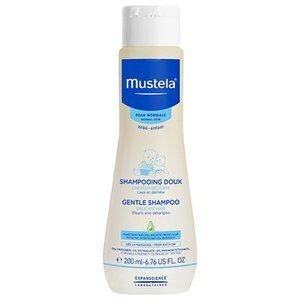 Mustela Gentle Shampoo 6.76 oz.